Did someone spike his Viagra? 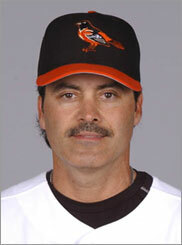 Someone put something in Rafael Palmeiro’s Viagra. Had to be. How else did they get into his body? Even though he tested positive for steroids—a ruling confirmed by arbitration, resulting in a 10-day suspension—Palmeiro insists he has no idea how the banned substances got into his system. “I have never intentionally used steroids,” he said yesterday in a statement. “Never, ever, period.” During a congressional hearing earlier this year on steriod use in baseball, Palmeiro was just as vehement, jabbing the air with his finger and saying “never, ever” a lot. Ever. Hmmm, reminds me of another famous finger pointer who insisted he did nothing inappropriate with a certain intern. (What cigar?) Viagra maker Pfizer, no stranger to controversy, seems to have dodged a bullet this time. Palmeiro’s contract to serve as a spokesman for the E.D. drug expired at the end of 2003, a spokesman said. At the congressional hearing, Palmeiro was joined by big-league bad boy Jose Canseco, who cited Palmeiro as a steroid user in his tell-all book and who later said he personally injected Palmeiro with a performance-enhancing drug. Nope, never, insists Palmeiro. They can’t both be telling the truth, so either Canseco is making stuff up, or Palmeiro’s nose is growing longer than his Viagra-enhanced … well, you get the picture.